Whey Protein contains a blend of high quality whey protein isolate and concentrate, providing a source of rapidly digesting protein for use after training sessions and between meals to boost protein intake. A high amino acid profile which supports lean muscle growth and maintenance, with 5g of BCAAs per serving, including 2.5g of leucine which is known to increase the rate of muscle protein synthesis. Each serving contains 22g of protein. Add 3 scoops (30g) to 250ml of water in an protein shaker. Whey Protein can be used with or between meals to support lean muscle mass or immediately after training or strength and conditioning sessions, with the goal of ingesting 20-25g of protein every 3-4 hours. 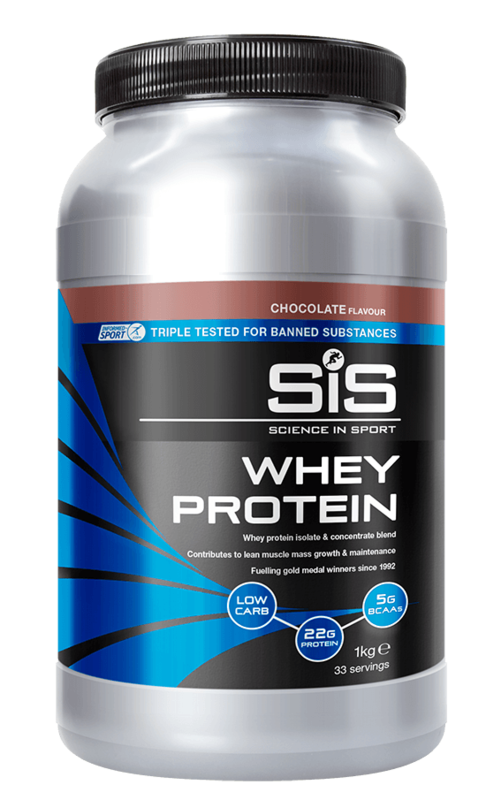 SiS product range is developed using a world-class approach to banned substance testing, providing assurance for athletes.